An illegal immigrant asked the Grenfell Tower survivor’s fund to pay for his Netflix subscription as he swindled £88,000 by claiming he was a victim of the fire. 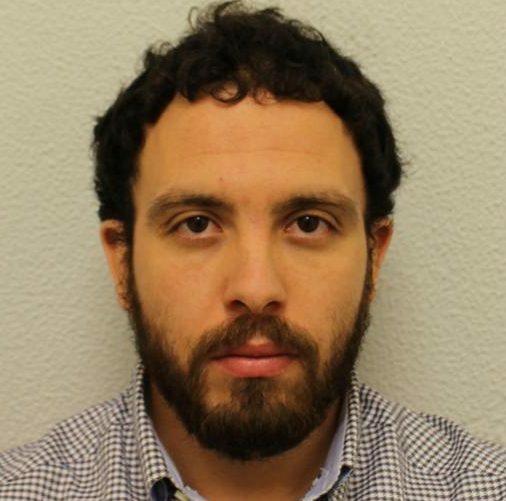 Tunisian Abdelkarim Rekaya, 28, took advantage of the government’s policy of providing amnesty for illegal immigrants living in the gutted tower block in June last year. He had been in the country since 2009 and by 2010 he had been cautioned by police for trying to steal a bicycle, Isleworth Crown Court heard. Rekaya first claimed he was living in flat four when the inferno claimed the lives of 72 residents. He later changed his story to say he was homeless and sleeping in the stairwell of the 11th and 12th floor. He was provided with emergency hotel accommodation at Park Plaza County Hotel between 26 June 2017 and 20 January 2018 for a total of 209 nights, costing £60,401. He was also given allowance payments that totaled £11,885.40 and travel cards for zones 1 and 2. Rekaya was allocated a studio flat on Lots Road, Chelsea, which he accepted on December 15 2017 and which he moved into on January 20 of this year. On June 6 of this year the Royal Borough of Chelsea council calculated the total cost of the flat to be £2,930.40, they expected to incur a further cost of £9,790.20 up to July 1st of this year. He was also given £3,166.17 to pay his gas and water bills. In November 2017 he was given 12 months leave to remain in the United Kingdom as part of the Grenfell Tower survivor’s policy. The court heard that this would have been the first step in applying to live permanently in the UK. Catherine Farrelly, prosecuting, said that Rekaya refused to answer questions from council workers about the events of the fire, telling them he did not want to relive the trauma. He even asked council workers if his Netflix subscription was being paid by the funds. A housing officer raised the alarm about Rekaya’s claim being fraudulent but after the fraudster threatened legal action the council decided to continue funding him while a full fraud investigation was carried out. He was arrested on June 7 of this year at his home on Lots Road. The court heard that the total cost to the Royal Borough of Kensington was £88,183.70. Rekaya appeared at Isleworth Crown today in a grey tracksuit, with the aid of an Arabic translator, for sentence. Ms Farrelly said: ‘The defendant saw the tragedy as an opportunity. ‘He claimed to be sleeping rough on the 11th floor of the tower. She told the court that the account he eventually gave of what happened to him on the night of the fire raised the suspicion of a council worker. The fraudster said that he had woken up on the 11th floor of the tower’ to the sounds of screaming’. The prosecutor said: ‘He stated that he had ran out of the tower through the front door. She told the court that Rekaya said to the housing officer that he was disappointed and he would contact his solicitor. Anthony Metzer, defending, asked the judge in mitigation to give his client as much credit as possible for his early guilty plea. He told the court that Rekaya initially came to the UK from Tunisia on a visitor’s visa. He said:’ When still in Tunisia he was kidnapped and given a beating by some men unknown to him. ‘He took the rap, essentially for his brother. ‘Once he was able to escape he came to this country and made an asylum claim. ‘He spent his first years in the UK in Newcastle. He told the court that Rekaya resorted to drink and drugs. The defence barrister said that his client had been traumatised by witnessing Grenfell Tower from outside the block. He said he would not be submit a psychological report to the court, but claimed Rekaya had suffered as a result of the fire. Jailing Rekaya for four and a half years Judge Curtis Raleigh said: ‘The fire at Grenfell in 2017 was a tragedy in which dozens of innocent lives were lost, families were ripped apart and communities devastated. He said that many people had reacted by doing what they could to help the victims of the fire. He told Rekaya: ‘Your response was very different, you decided to use it to your own personal advantage. ‘You said you were sleeping rough in the tower. ‘You claimed you were a victim. ‘As a result you were accommodated. ‘You showed concern about whether or not your Netflix subscription was being paid for by the funds. Rekaya, of Lots Road, Chelsea, originally denied fraud by false representation and obtaining leave to stay in the country by deception but today (fri) admitted the offences. The defendant showed no expression as he was jailed for four and a half years. An order was made for forfeiture of the £2,000 in cash found at his home. Obtaining leave to remain in the United Kingdom by deception- Between 13/6/17- 8/6/18 not being a British citizen obtained or sort leave to remain in the United Kingdom by means which included deception namely claiming you had been a resident in Grenfell Tower and therefore were entitled to leave to remain in the UK under the special provisions made available to survivors of the fire at Grenfell Tower.